Completed in 2005, Casa Sofia is a gracious & luxurious two-story, three-bedroom house. When you enter Casa Sofia, you will be struck by the views. The whole house opens onto a huge patio overlooking Sayulita bay. Unique to Casa Sofia are the expansive, Catalan-style vaulted ceilings over the living room, kitchen, and bedroom of the top floor, built by craftsmen brought in from central Mexico. Casa Sofia’s top floor is comprised of the house’s large, fully-equipped main kitchen, two dining-rooms (one inside and one under a huge palapa on the patio for al fresco dining), a living-room with two couches, a sun patio, and a one bedroom/bathroom suite with a king-sized bed. The two built-in couches in the living room can accommodation two additional guests. Through two huge French doors, the whole of the top floor opens on to the patio and view of the ocean, which can be seen from all the rooms. Through an internal staircase, you enter Casa Sofia’s lower level, where there are two bedroom/full bathroom suites (each with king-sized beds), a small kitchen/dining area, and a huge covered patio with a couch, chairs, dining table – and views of the ocean. It is virtually a two-bedroom house of it’s own on one floor. Casa Sofia will allow you to accommodate your large group or family under one roof while providing the maximum in space, privacy, and comfort. Guest of Casa Sofia will have access to our shared pool. What sets Casa Higuera/Casa Sofia apart are their beachfront location, gorgeous ocean views, and spacious and attractive design. Our highly coveted southside location on Sayulita’s best hill overlooks the bay and is just steps away from both beach and village. Aaron has been coming to Sayulita since he was in diapers – accompanied, that is, by his parents, who were among the first handful of Americans to come to Sayulita circa 1970. Aaron’s professional background was in non-profit community development, but now runs Casa Higuera/Casa Sofia while making documentary films in NYC. He has made two films about Mexico, the Emmy-nominated CIRCO and the Cinema Eye Honors-award winning LA LAGUNA. Our 3-bedroom Casa Sofia is one of several properties we own in the same complex. We list our 2-bedroom Casa Higuera and 6 one-bedroom Casitas on VRBO. The pool is shared among the guests on our property. All of our accommodations have large ocean view patios and direct beach access, full kitchen with utensils, cookware, blender, coffeemaker, linens and towels, daily maid service, bottled purified water, WiFi, and parking available. The home, property and staff are all wonderful and in perfect condition. The location could not be any better for quick access to the beautiful beach and the charming Mexican village. Aaron and his assistant Katherine make everything so easy for the vacationer. We were pleasantly greeted upon our early arrival by Martin and allowed to leave our luggage while we took lunch. We were also very happy to discover that we were welcome to stay a little longer than noted since our return flight was late in the day. If you are looking for a beautiful, quaint dwelling on a lush private property with a pristine pool this is it. We have been to several rental properties around the world and this one is very special. We stayed in Casa Sophia and rented a golf cart for our stay. The cart came in handy but was not nessary if you are able to navigate walking steps and inclines, everything in the village is within easy walking distance where we found many delicious drinks and meals ! This is a great accommodation! We stayed at Casa Sophia with two of our daughters and their two friends. My husband and I were upstairs with our own bedroom, bathroom, living room, kitchen, dining room and beautiful balcony overlooking the pool and the ocean. The 4 kids aged 17-21 shared the bottom level which had another two bedrooms and two bathrooms and shared a kitchen an lovely patio also overlooking the ocean and pool. The path to the ocean is beautiful but lots of steps. It didn’t bother us a bit. The other side of the property leads down a path right into town. Great for everyone to take off on their own. This was our 2nd time in Sayulita and will be back. Last year we stayed down the beach farther away from town and the hussle and bustle which I preferred but this accommodation fit our family better. If you want quiet, the area you pop out onto the beach would not be for you. It was very busy, and active and not quiet and it is a pretty good walk to escape it. This is more of a higher traffic tourist area. 4 chairs and an umbrella as well as 6 beach towels were provided and we brought them to the beach daily. You could also very easily rent chairs and an umbrella at the beach if you don’t want to lug them up and down all the stairs. There are LOTS of beach vendors with food, drinks, massages, crafts, excursions etc. We all got massages some of us a couple of times for $20/hour. They were fantastic. All but one of us got sick for 24 hours as did most everyone we talked to. I’m not sure how to avoid it. We played it pretty safe but still got sick. Still worth it. We highly recommend this town and property. Casa Sofia and the other casitas on the property are terrific. The location is absolutely perfect for access to both the beaches and the town. If your considering a trip to Sayulita I would highly recommend. Great for families, couples and groups. The pictures are accurate - the place is awesome. 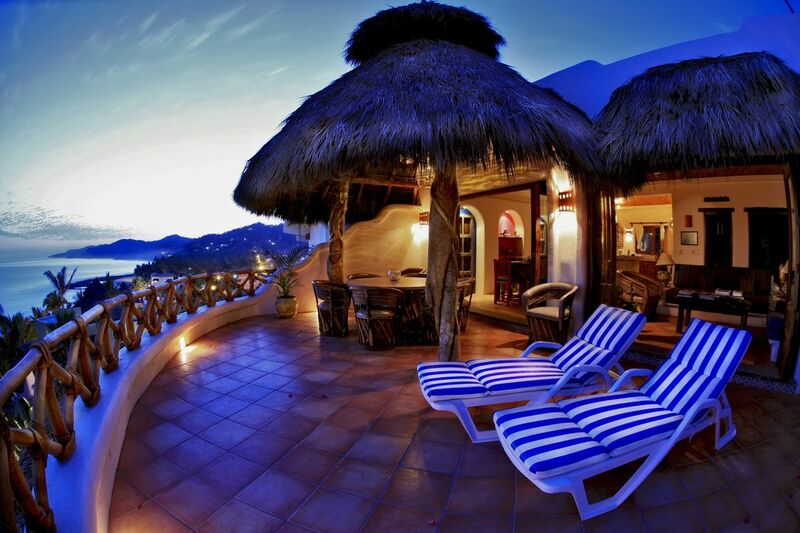 This property was definitely one of the prettiest places in Sayulita! Our stay here at Casa Sofia was wonderful! The unit we were in was huge, light and bright, and had everything we needed including amazing views! The open-air structure provided a week full of comfort, nature and breath-taking sun rises and sunsets. We very much enjoyed the easy access to both the beach and town. Everything is super close....including the perfect little pool on the property to cool off. We used the kitchen for breakfast and snacks, then ventured into town for lunch and dinner. This property is very conducive to meeting other families to enjoy the week with, if that is enticing to you. I cannot say enough about Casa Sofia......we will definitely be back! Thank you for sharing the beautiful space you have created in a Traditional classic style. I loved all the thought to details your home provided. Lovely views, private spaces, close to everything. It was a pleasure. Gorgeous property & amazing trip! We spent a week at Casa Sofia in Sayulita and we can not say enough amazing things about this property! The layout was perfect for our group (me & my fiance, his 18 yr old daughter & my parents). Everyone had their own private space to enjoy when they wanted, but the main floor and the large upper level patio were perfect for us all to spend time together eating breakfast & watching the whales playing in the ocean! The house is beautifully decorated and fully stocked - we had everything we needed to feel comfortable for the week. And beyond the Casa itself the grounds are amazing! The pool was delightful and perfect for cooling off from the humidity. It was also a great gathering place for the guests staying in the other Casa/Casitas and we met some amazing people while hanging out at the pool that we ended up spending several more days with throughout the week! The property is perfectly located for ease of getting to the town square or to the main beach (right out the front of the villa) or to Playa Los Muertos beach (our personal fave). The only "caution" is that there are many stairs to get to the Casa (hence the amazing views!) and if anyone has mobility issues you definitely should invest in renting a golf cart during your stay. With that being said, if you are comfortable with climbing stairs, the trip down to town and back up is quick and easy. I had to run to a store on the square at one point and was down & back up to the Casa in 10 minutes. Overall we loved our stay at Casa Sofia & our first trip to Sayulita. We will most definitely be back and we can't imagine staying anywhere but at Casa Sofia or the other Casa/Casitas! Thanks for the amazing week Aaron!